Just far away enough from the hustle, a charming two bed cottage recently renovated to the highest spec in time for a perfect summer. All furnishings and appliances new including leather suite. This bach is a dedicated holiday home so no clutter and dust . A generous near flat section with plenty of parking, easy access in a tranquil street. A gentle 800 metre stroll to arguably Waiheke's best beach. North facing with outlook to vineyards and impressive sunsets. Note: Occupancy is listed as 7 but more could be accomodated in the newly completed sleep out, and available caravan. Subject to booking, extra charges apply. 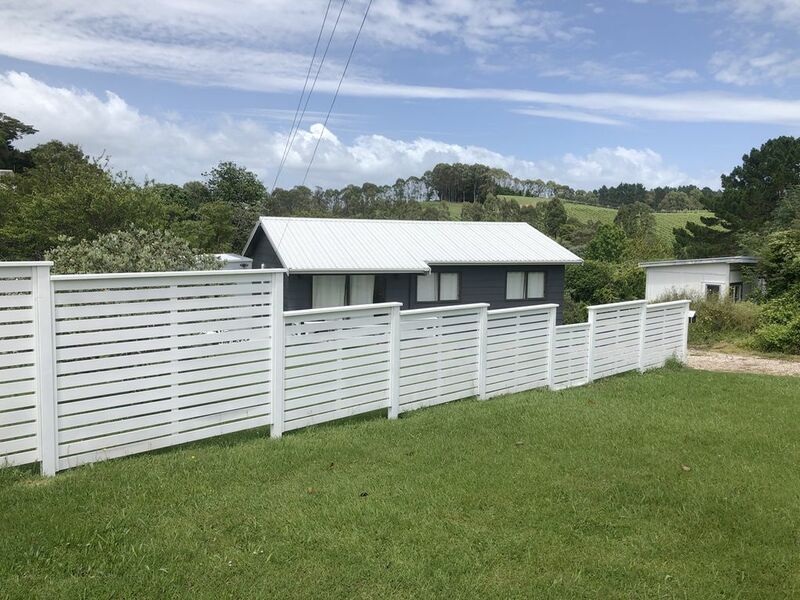 A fantastic clean bach which has been tastefully renovated, with all the modern conveniences in a great position.....very handy to the best beach on Waiheke, lots of outdoor space and bird life, (Pukeko, Tui, Wood Pigeon, Rosella, Ducks etc). Loved the mini games room. Would highly recommend for a peaceful relaxing stay. Thanks again. "We are a couple with a 16month old and found this property perfect for our stay on Waiheke. Onetangi is most definitely the best beach on the island and being a short stroll away from it and an even quicker drive to it was awesome. The house was kid-safe and had everything we needed and we would definitely stay again. AndyB Oct 2016"
"Great place to stay, will be back." "We loved your place - we only wished we could stay longer"
A gentle 800 metre stroll to arguably Waiheke's best beach. Top vineyards just minutes away.